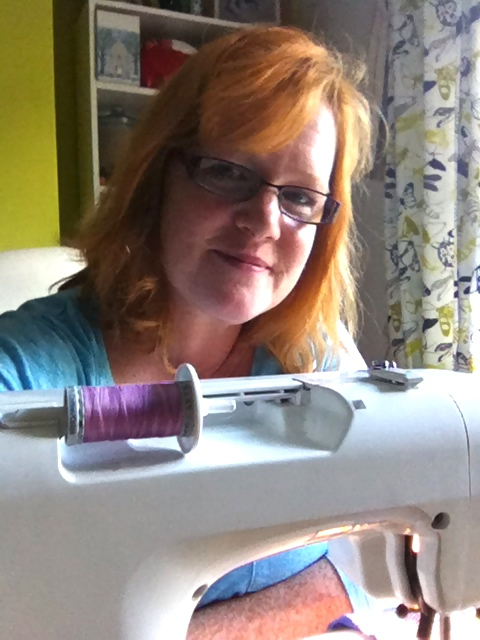 I am a self-taught textile artist, principally creating free-motion machine embroideries of the world around me. Fascinated by nature, wildlife and the beautiful towns, cities and villages in the area around her home city of Bath, I describe my work as ‘thread paintings’. I create detailed embroideries of animals, birds, landscapes and townscapes along with custom portraits of beloved pets. I also make cards and larger pictures, individually designing and freemotion machine stitching appliqué images, working in cotton fabric and wool felt. I am a proud member of the Society for Embroidered Work. I sell my work at Made in Bradford-on-Avon (1 Lamb Yard, Kingston Rd, Silver St, Bradford-on-Avon BA15 1FG) and online at Etsy.com/DeereyMe. For personalised and custom orders please email me at sue@deereyme.co.uk and I will do my best to help…it may take a few weeks, so please give me lots of notice. Hello – Nicole from Cloud Craft here! Thanks for your felt order today. Saw that you are in the process of setting up your business and wanted to wish you all the best. I was made redundant (yippee!) last April and it’s the best thing that has happened to me. Having an Etsy shop hasn’t made me rich but it is really satisfying and I guess you never know where it will lead. I’m sure you will have lots of fun with yours. Good luck! Thank you so much for the good wishes Nicole. As you say, I have no delusions about getting rich, but having the chance to spend my days designing and making things just makes me really happy. I love your felt; really nice to work with as it doesn’t fall apart, and the colours are lovely. Today your felt has been becoming eyes and noses for cats and dogs (washes well and even showed no sign of deterioration after 40 mins in the tumble dryer) and the backs of ribbon rose brooches…I see it becoming appliqued needle books too. Thanks Nick – I really need to refill my shop; you are such a good customer! My zipper pouch arrived today and it is beautiful. I was also really impressed with the speedy delivery! Congratulations on setting up such a wonderful business, I’m sure it will continue to be a success and I will certainly be making more purchases in the future.